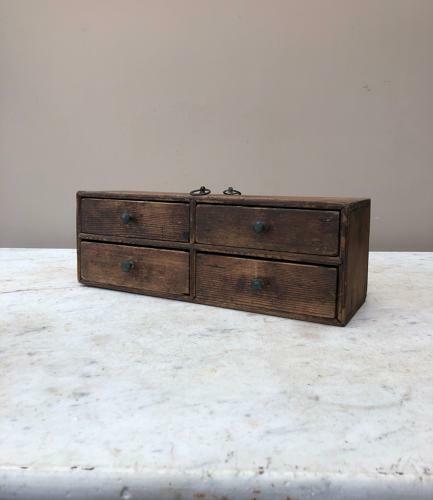 Lovely condition and completely original late Victorian all pine Watchmaker's Bank of Four Drawers. Original handles...two little hooks on the top to tie items too. Unwaxed and great natural aged patina.